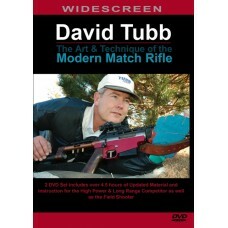 David Tubb Presents "The Art & Technique of the Modern Match Rifle"
Home » Books DVDs and Apparel » David Tubb Presents "The Art & Technique of the Modern Match Rifle"
David Tubb is arguably the best and winningest competitive rifleman in history. Among his many accomplishments, he has won an unprecedented 11 National High Power Championships and 5 Long-Range National Championships at Camp Perry, Ohio. 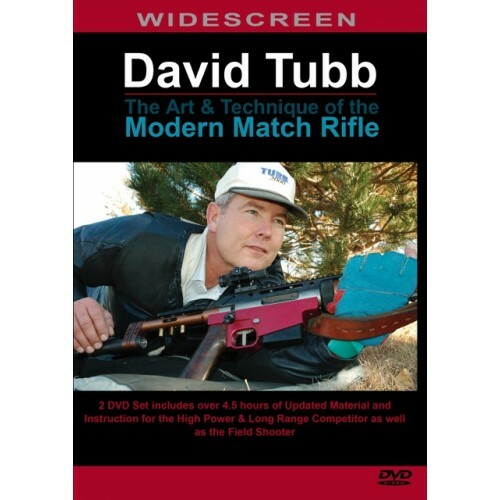 He is a 7-time National Hgih Power Silhouette Champion and 8-time National High Power Hunting Rifle Silhouette Champion, plus he has won 7 Sportsmen's Team Challenge Championships along with several other National Silhouette titles.